8:00 AM – We arrive at Jean-Michel Cousteau's Fiji Islands Resort, which is at the opposite end of the island from Lomalagi Resort. Owned by the sole surviving son of scuba inventor, Jacques Cousteau, the place befits its Five Star rating. We were not there to enjoy opulence and luxury, but rather, for the diving. 9:00 AM – With about a dozen divers on-board, the high-powered, twin-diesel dive boat swept away from the resort’s little wooden dock. The day was clear, the weather was warm and we were heading towards one of the world’s most legendary dive sites, the lagoon at Namenalala (Namena) Island. 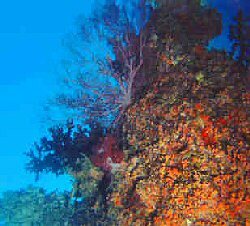 10:00 AM – We anchor a few hundred yards off Namenalala Island, inside the reef-line of a clear-water lagoon. 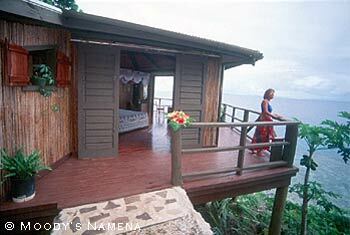 Namenalala, in Fijian, means “the place where no one lives”. 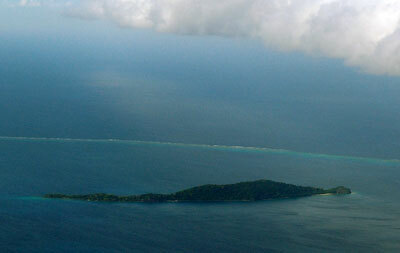 Although contemporary Fijians never occupied the 110-acre desert island, the Namena Island Resort now holds its ecologically appropriate claim to the space. 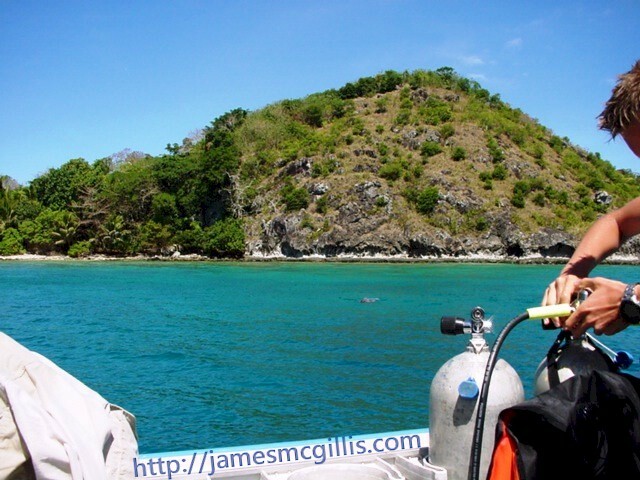 11:00 AM – Our first dive was a revelation. 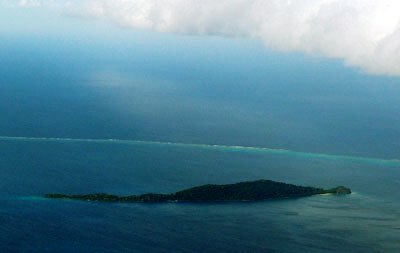 If the dive sites on Vanua Levu were somewhat compromised by development and siltation, this remote, mid-ocean location was untouched by fishing, pollution of other signs of man’s intervention. As bright sunlight filtered through the water, colorful fish, both predator and prey alike schooled and swam over and around the reef structures. 12:00 PM – Between dives, we ate lunch and looked at the profusion of sea birds that visited Namena, including the “condor of the ocean”, a rare Lesser Frigate Bird. 1:00 PM – Our second dive was as revealing as the first. For those who do not scuba dive, the closest similar experience I can describe is what you feel in an IMAX 3-D theater production. With the exceptional clarity of the water and sunlight reflecting off the shallow sandy bottom, everything, including color appears magnified and surreal. 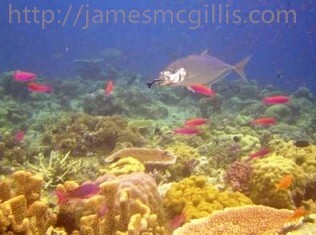 One can get up to within inches of the small reef fish and study them in their micro-habitats or take a long view and see the interplay between species, as predators enter the arena. The experience is one of exquisite sensory overload. 3:00 PM – It is time to leave the most perfect dive site on the planet and head back across the Bligh Water to the Cousteau Resort, then on home to our own, more humble bure at Lomalagi Resort. 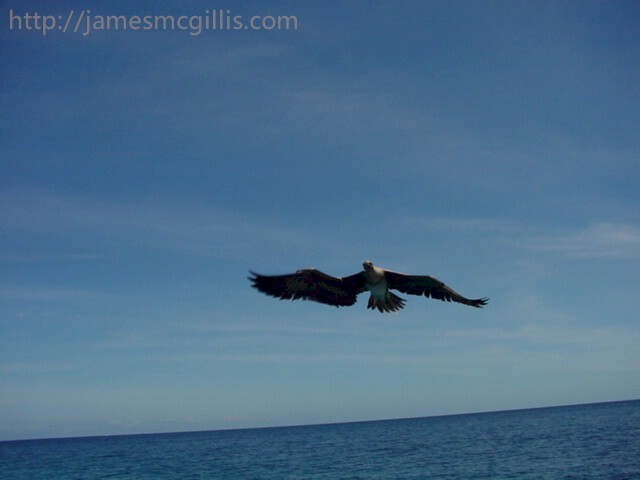 Epilogue – Upon returning home to Los Angeles, several days later, I started to chronicle our Fiji Island adventure. From the brief of notes that I had kept, I was able to recreate a chronology of our adventure in paradise, almost hour by hour. After the terrorist attacks of that day, stories of fun and frivolous adventures on tropical islands no longer seemed appropriate. Most all of us thought that the world had “turned serious” and lighthearted stories were no longer acceptable. We, as Americans, were in mourning for the way it used to be. 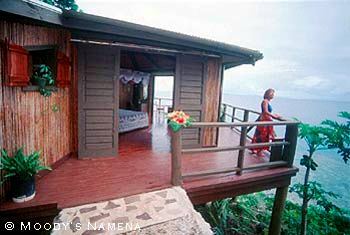 Although my relationship with Cagey ended shortly thereafter, I look fondly on our time together and especially our vacation at Natewa Bay on Vanua Levu, Fiji in August 2001.